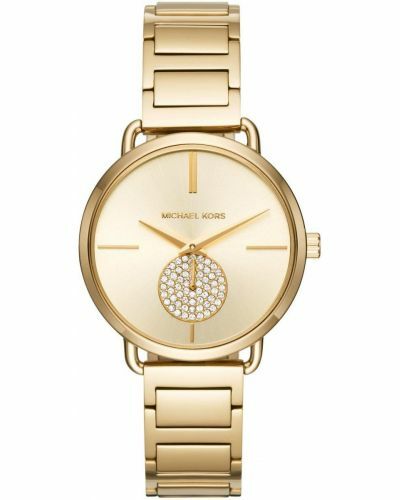 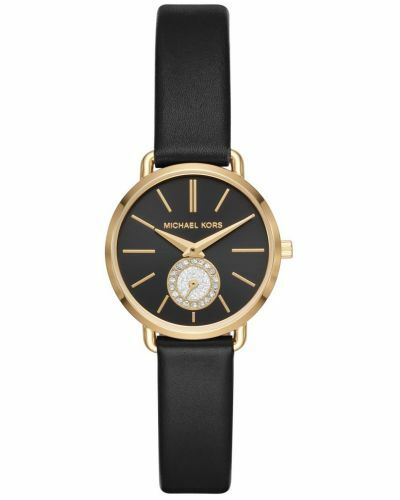 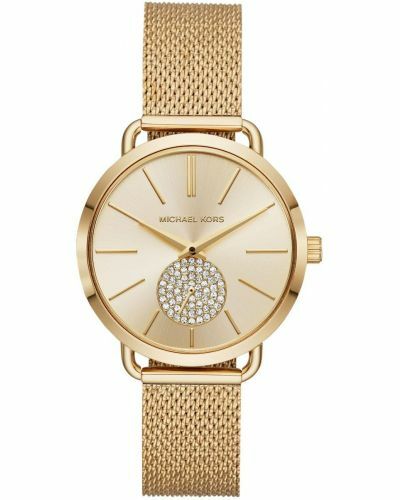 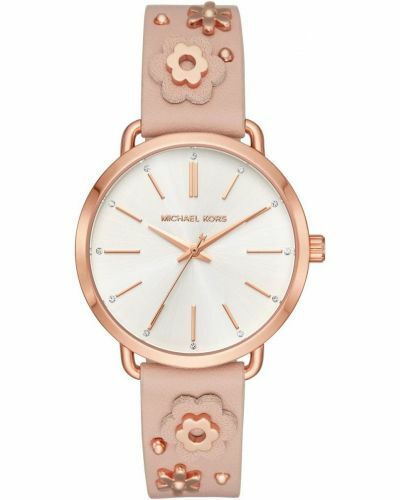 Brought to you by renowned American fashion designer Michael Kors comes the Portia women’s watch; a stunning amalgamation of sublime craftsmanship and exuberant design flair. Perfectly on trend, the Portia watch features a chic rose gold plated stainless steel link bracelet complete with a fold over push deployment closure. 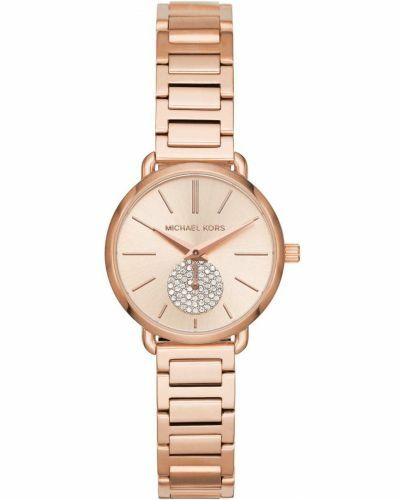 The elegant 34mm round rose gold case is complimented by the brushed rose gold bezel and houses a rose gold sunray dial adorned with a pavé crystal sub-dial dial. 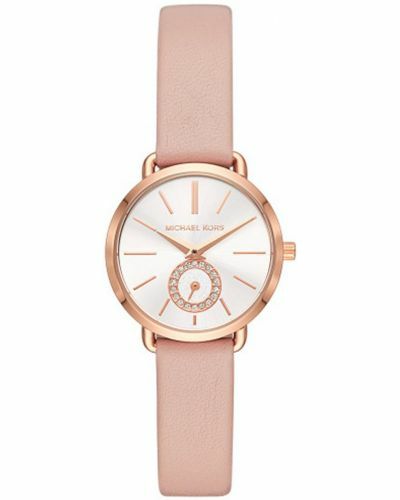 Sophisticated rose gold batons and second hand complete this mesmerising watch. 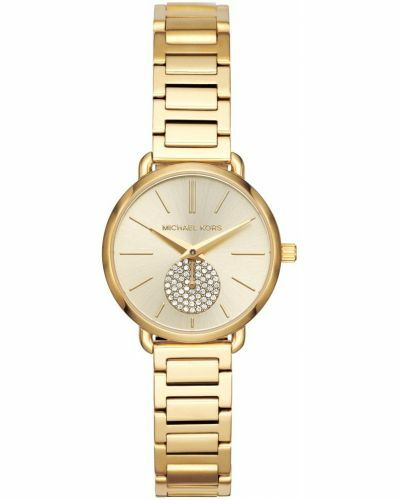 Powered by Quartz movement and protected by mineral glass this beautiful watch is water resistant up to 50 meters. 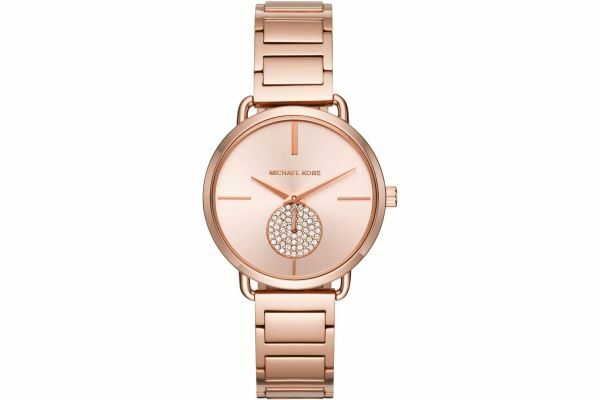 For us to size your new Michael Kors Portia watch as accurately as possible, please take a look at our downloadable Watch Sizing Guide.